Shane Michael Murray: Just a little longer! Adding a few last little gems to the novel while I complete the final proof reading changes, please wait just a little longer. 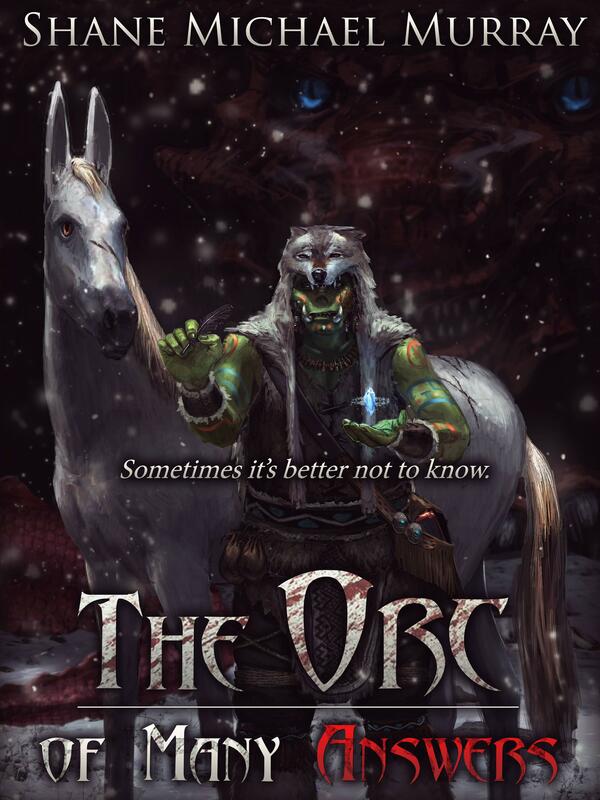 In the meantime, here is the blurb for The Orc of Many Answers. Enjoy! Down the mountain, one orc who asks too many questions tumbles, fleeing his past, with only an elven horse, a pair of boots, and an old book for company. Down below the whole world awaits him, filled with humans, elves, trolls, and a thousand other monsters that make a habit of killing little orcs like Talking-Wind. Worse than any of them is the Lady of Firebrand Peak, the dragon who told Talking-Wind to stay put and wait to be eaten like a good orc. 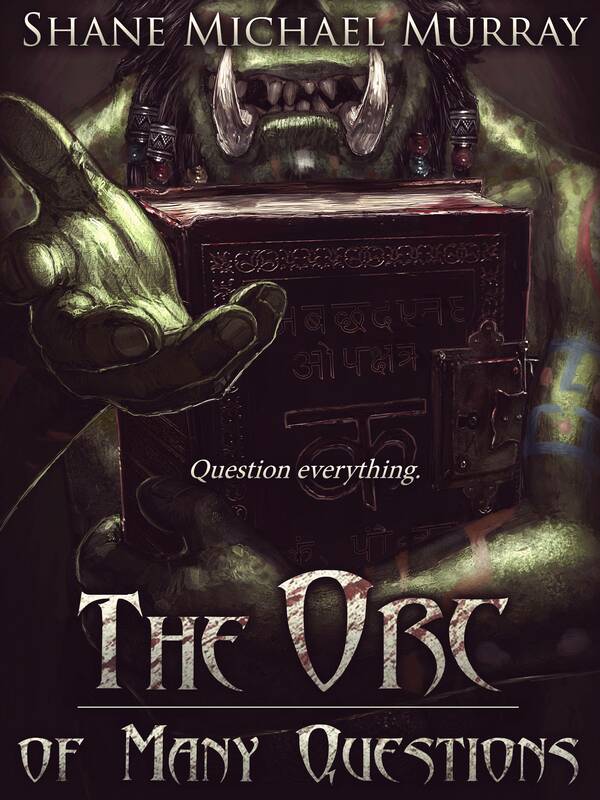 Orcs hate questions, but the one thing orcs hate more than orcs that ask too many questions is an orc looking for all the answers, for the pursuit of dangerous answers only ever leads to trouble for the tribe. The Lady is not kind, nor is she forgiving. If Talking-Wind wishes to have any kind of a chance to survive he will have to understand why dragons are what they were, and what makes dragons do what dragons do. If he can understand and predict the Lady of Firebrand Peak he can stay one step ahead, out of sight and range of dragonflame. Maybe, just maybe, he might even find a way to fight back.